A research team led by scientists at The Scripps Research Institute (TSRI) in La Jolla, California — one of the world’s largest independent, not-for-profit organizations focusing on research in the biomedical sciences — has discovered a simple method for converting human skin cells into neurons that locate and transmit pain, itch, touch and other sensory information to the brain. These types of neurons can be affected in spinal cord injuries and also involved in Friedreich’s ataxia (FA), a severely debilitating, life-shortening, degenerative autosomal recessive inherited, and currently incurable neuro-muscular disorder that causes progressive damage to the nervous system, with onset most commonly between the ages of 5 and 15 , although a variant known as Late onset FA (LOFA) can occur anytime during adulthood. Roughly one in 50,000 people in the United States are afflicted with Friedreich’s ataxia. According to the Friedreich’s Ataxia Research Alliance, FA patients carry gene mutations that limit the production of the vital protein frataxin, which is known to be an important agent that functions in cell mitochondria. Frataxin helps to transport iron to cells and is involved with formation of the iron-sulfur clusters necessary in mitochondrial function, and consequently in energy production. Scientists know that specific nerve cells (neurons) degenerate in people with FA, a dysfunction directly manifesting in FA symptoms, which may include loss of coordination (ataxia) in the arms and legs; fatigue due to energy deprivation and muscle loss; vision impairment, hearing loss, and slurred speech; aggressive scoliosis (curvature of the spine); diabetes mellitus (insulin — dependent, in most cases); and enlarged heart (hypertrophic cardiomyopathy) a serious heart condition.Because there are currently no treatments for FA, patients are monitored for symptom management. The TSRI team’s discovery sheds light on this category of neurons and associated sensory mechanisms, enabling them to be more easily studied in laboratories. The sort of induced sensory neurons produced using this method is expected to also prove useful for testing potential new therapies for treating pain, itchiness and associated conditions. 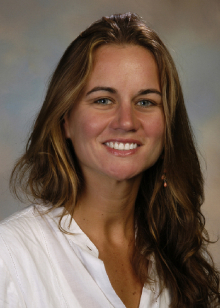 “Following on the work of TSRI Professor Ardem Patapoutian, who has identified many of the genes that endow these neurons with selective responses to temperature, pain and pressure, we have found a way to produce induced sensory neurons from humans where these genes can be expressed in their normal cellular environment,” says Associate Professor Kristin K. Baldwin, an investigator at the TSRI’s Dorris Neuroscience Center in a TSRI release. Dr. Baldwin is also an adjunct associate professor, in the Department of Neurosciences at the University of California at San Diego. “This method is rapid, robust and scalable. Therefore we hope that these induced sensory neurons will allow our group and others to identify new compounds that block pain and itch and to better understand and treat neurodegenerative disease and spinal cord injury,” continues Dr. Baldwin, whose central research focus is on advancing stem cell technology to study genomes and the brain. 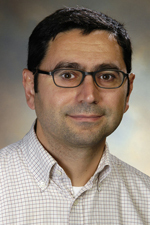 A report by Dr. Baldwin’s team was published in the journal Nature Neuroscience on November 24, 2014, entitled “Selective conversion of fibroblasts into peripheral sensory neurons” (Nature Neuroscience 2014 doi:10.1038/nn.3887) and coauthored by Joel W Blanchard, Kevin T Eade, Valentina Lo Sardo, Rachel K Tsunemoto, Daniel Williams & Kristin K Baldwin of the Department of Molecular and Cellular Neuroscience, Dorris Neuroscience Center at The Scripps Research Institute; Attila Szücs of the BioCircuits Institute at the University of California San Diego, La Jolla and the Balaton Limnological Institute of the Hungarian Academy of Sciences at Tihany, Hungary, and Pietro Paolo Sanna of TSRI’s Molecular and Integrative Neurosciences Department. Rachel Tsunemoto and Dr. are also associated with Baldwin Neuroscience Graduate Program at the University of California San Diego at La Jolla. The researchers note that humans and animals detect sensations like pain, itch, temperature, pressure, stretch and limb position status via signals transmitted by peripheral sensory neurons representing three functional classes: nociceptors/pruritoceptors, mechanoreceptors, and proprioceptors which are distinguished by their selective expression of TrkA, TrkB or TrkC receptors, respectively. 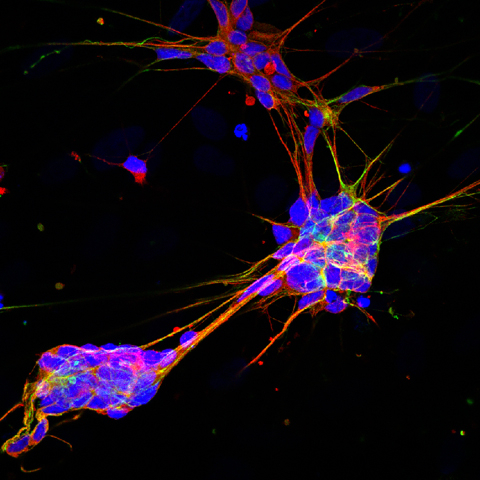 For the Nature Neuroscience study, the research team employed a cell-reprogramming technique (similar to methods used for reprogramming skin cells into reprogramming convert ordinary skin cells known as fibroblasts into human DRG-type sensory neurons. They were able to identify several transcription factors in managerial proteins that can activate large sets of genes eactivatevital to immature neurons’ ability to develop into adult sensory neurons. The scientists found that by combining transcription factors Brn3a with either Ngn1 or Ngn2, human and mouse fibroblasts can be selectively “reprogrammed,” so as to look and act like mature DRG-type sensory neurons. The researchers found that resulting induced sensory neurons (iSNs) are electrically active, exhibit distinct sensory neuron morphologies, and are matched to characteristic gene expression patterns of endogenous sensory neurons, including selective expression of Trk receptors. In addition, the scientists found that calcium-imaging assays can identify iSN subsets that selectively respond to diverse ligands known to activate itch-and pain-sensing neurons. They conclude that their results can provide simple, rapid means of producing genetically diverse human sensory neurons for use in drug screening and mechanistic studies. According to the TSRI release, neurons produced using the new technique will normally collect in clusters called dorsal root ganglia (DRG) located along the outer spine. These DRG sensory neurons extend nerve fibers into skin, muscle and joint tissues throughout the body, where their receptor function detects sensory input ranging from gentle touch to painful touch, as well as heat, cold, wound discomfort, inflammation, itch-inducing stimuli, chemical irritants, vibration, bladder and colon fullness and body — limbs positioning. The researchers note that these neurons have also recently been linked to aging and to autoimmune disease as well. Photo Caption: These induced sensory neurons could be useful in the testing of potential new therapies for pain, itch and related conditions – Image provided by the Baldwin Lab. Because of difficulty associated with harvest and culture of adult human neurons, most DRG neuron research is customarily done in mice, but mouse models are of limited utility in increasing understanding of the human somatosensory system. 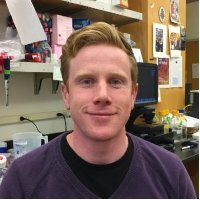 “Mouse models don’t represent the full diversity of the human response,” explains a PhD candidate in the Baldwin laboratory at TSRI Joel W. Blanchard, who is co-lead author of the Nature Neuroscience study along with Postdoctoral Fellow and Research Associate at The Scripps Research Institute Kevin T. Eade. The TSRI release says that using the same transcription factor recipes, the team was successful in converting adultsuccessfuloblasts, which are harder to reprogram, into DRG neurons, and while conversion rates were lower, neurons induced seemed just as similar to their natural counterparts as ones derived from embryonic fibroblasts in mice. This research received financial support from the Dorris Neuroscience Center, the California Institute of Regenerative Medicine, the Baxter Family Foundation, the Del Webb Foundation, The Norris Foundation, Las Patronas, the National Institutes of Health (National Institute on Drug Abuse [DA031566], National Institute on Deafness and other Communication Disorders [DC012592] and National Institute of Mental Health [MH102698]), the National Science Foundation and the Andrea Elizabeth Vogt Memorial Award. Tagged Sensory Neurons, skin cells.